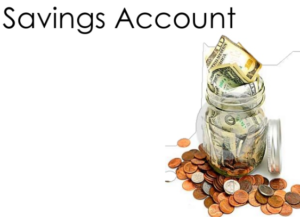 Is there an ideal number of savings or checkings accounts a person should have? How many do you have? Why? I currently have 3 savings accounts and 1 checkings account. I have 1 savings and 1 checkings account through a college credit union that I have kept all these years. This gives me access to co-op credit union branches when I want to deposit or withdraw cash in person. 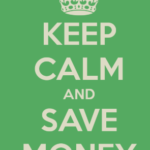 Separately I have 2 different online savings accounts. Why do I have 3 savings and 1 checkings accounts? These accounts are to keep my funds separate. It is a way for me to stay organized. Co-op credit union – my main day-to-day account is both the savings and checkings accounts through my college credit union. This is where my direct deposits go from my full time job. I probably should close it and open with a national bank because there are occasions when I need to deposit and withdraw cash in person. 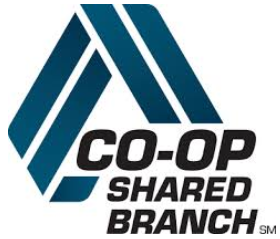 Co-op shared branch means I can go to any co-op credit union branch and make in person transactions. 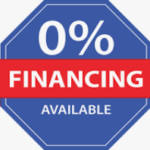 There are 2 huge limitations: 1) co-op locations are not as convenient as a national bank and 2) co-op credit union branches have daily withdrawal limits of up to $1,000. As part of my ebay side hustling, the withdrawal and location limitations can be inconvenient. High yield savings account #1 through American Express – I first opened this savings account to stash by emergency fund, but immediately switched to Synchrony Bank because of the higher interest rate. Now I use this account to stash my stock fund as well as my ebay side hustle of buying and selling sports cards. This AmEx account is directly connected to my online stock trading account. 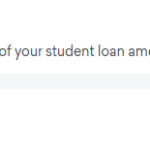 I originally chose the American Express savings account because naively I thought “showing” American Express I have extra cash laying around would allow me to get approved for an American Express credit card. I felt like getting an AmEx card was some sort of status symbol and hearing all these stories about their excellent customer service made this my #1 credit card target. Pretty dumb, right? AmEx cards are generally known to have one of the more stricter credit requirements compared to your standard Chase, Citi, and Discover credit cards. When I could not get AmEx to approve me for a credit card multiple times, I went to Discover and Capital One. I never ended up applying to AmEx again, but I did keep this account. High yield savings account #2 through Synchrony Bank – I chose this savings account as my main account to stash my emergency fund because of the higher interest rate. I also use this account to store my real estate investing fund because I am aiming to buy a property this year (2018). In addition to contributing to my company’s 401K, I transfer a small percentage of each paycheck from the direct deposit account (credit union) to this savings account. I try to practice the saying “pay yourself first”.